Everyone knows that Milan is the fashion capital of Earth, and the Galleria Vittorio Emanuele II is not only one of the world’s oldest shopping malls but also a place to see the best dressed men and women out there. 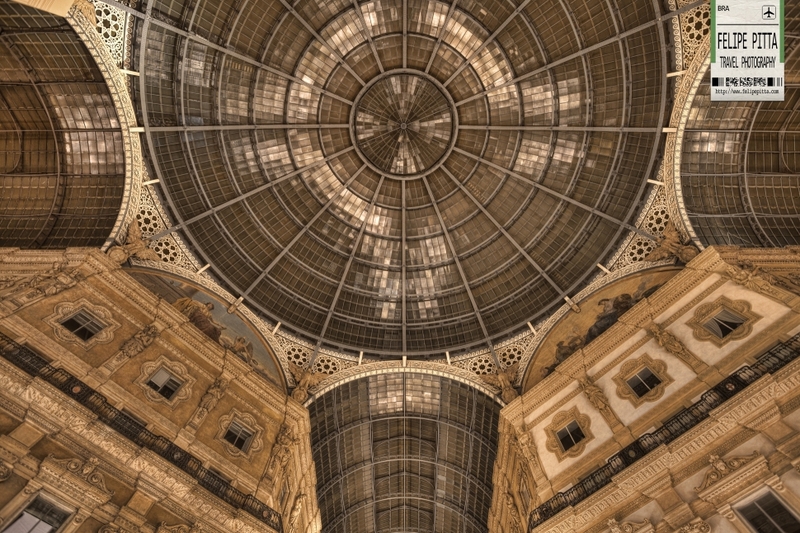 Housed within a four-story double arcade in central Milan, the Galleria is named after Vittorio Emanuele II, the first king of the Kingdom of Italy, and is just steps away from the famous Milan cathedral on the north end of the Piazza del Duomo. 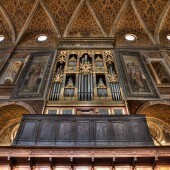 The structure consists of two glass-vaulted arcades intersecting in an octagon covering the street connecting Piazza del Duomo to Piazza della Scala. The street is covered by an arching glass and cast iron roof. The central octagonal space is topped with a beautiful glass dome. 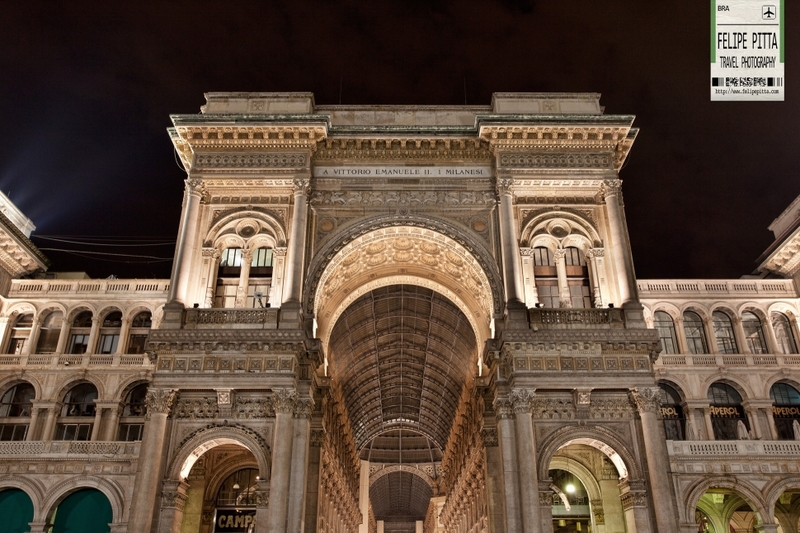 The Galleria was designed in 1861 and built by Giuseppe Mengoni between 1865 and 1877. The arcade principally contains luxury retailers selling haute couture, jewelry, books and paintings, as well as restaurants, cafés, and bars. 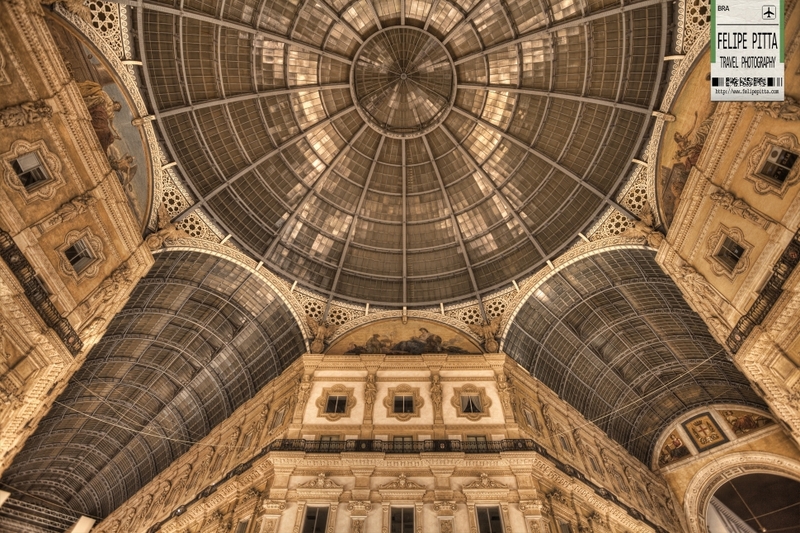 The Galleria is famous for being home to some of the oldest shops and restaurants in Milan, such as Biffi Caffè (founded in 1867), the Savini restaurant, the silverware store Bernasconi and the Art Nouveau classic Zucca’s Bar.